For #WomensMonth we have partnered with a few local artisan brands, these are businesses founded by powerful women and this month gives us a good reason to celebrate each other! The next 3 weeks will be filled with giveaways and business advise, we hope you enjoy this series as much as I enjoyed putting it together. Next up we have Maria Magdelena Van Wyk, illustrator and designer who started who freelance graphic designer career in 2012, she has grown from strength to strength and we simple love her work! 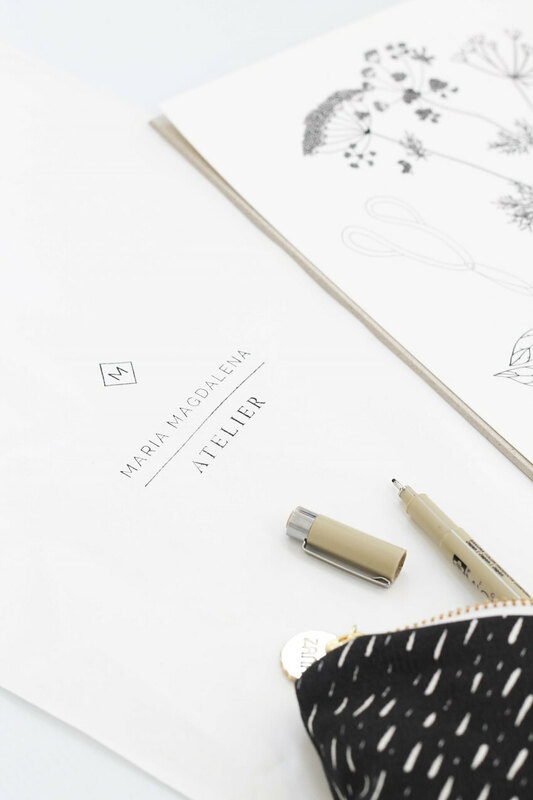 Maria Magdalena originally started in 2012 as a freelance graphic design brand while I was working full time as a packaging designer in Woodstock. As a freelancer my clients were drawn to the illustration work in my portfolio and wanted to incorporate it in their design work. As a struggling artist in the first few years of moving to Cape Town I would gift my loved ones with wild flowers and hand drawn cards. 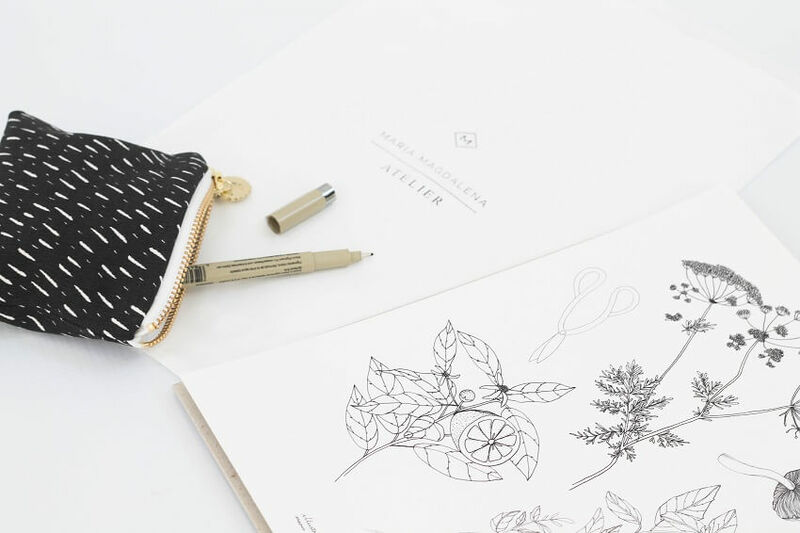 My mother suggested for me to create a fine art print range in 2014 and even though I was somewhat skeptical about it I created my Wander Collection of drawings, attended the first Business of Design conference on a sponsorship, set up an online store with Shopstar and found my first stockist in Cape Town. Within the first two months it was picked up by magazines and blogs, I was selected as an Emerging Creative at the International Design Indaba and went on to have ten exhibitions in the first year in Cape Town, New York, Johannesburg and Durban. Growing up, who was and today continues to be an inspirational women in your life? There would be no Maria Magdalena Atelier without my mother. She is an avid art enthusiast and raised me to appreciate literature, poetry, opera, classical music, sculpture, painting and ceramics. If there was a new arts and craft class offered in our town she knew about it and signed me up. She suggested and encouraged me to create my first illustration range and spoke to me over the phone when walking into a meeting or showcase overwhelmed me too much. It was all her idea and her unfailing belief in my talent and continued support, enthusiasm and love is what keeps me going every day. Twenty-eight years of Maria Magdalena original artworks are proudly framed in my mothers home including the crayon doodles, oil paintings and ink drawings. What has your biggest business challenge been and show have you overcome it? There are so many challenges a small business and an artist face everyday. In the first year I wasn’t able to leave my day job and had to juggle a flourishing art career on top of a very demanding day job. I had to sacrifice my evenings, weekends, social life and sometimes my sanity to get where I am today. April 2016 marked my first month working as a full time artist and the transition was overwhelming to say the least. Since making the move my business has grown ten fold and every day that I get to draw for a living is an absolute blessing that I will never take for granted. I would not have gotten through it without the unfailing support and prayers of my family, close friends and partner. What gets you most excited about your job? I adore everything about what I do except the endless amounts of admin. My first love affair in the creative industry will always be graphic design. Crafting a visual language for a company is one of my favourite things in the world and it gets me so enthusiastic. Drawing is simply who I am and how I have always expressed myself. My illustration career seems almost comically inevitable now that I look back over my life. My favourite part of the day is working with clients to hand craft commissioned original artworks for them that will hang in their homes or be gifted to their loved ones. Realizing someone’s vision into a work of art is such a privilege. If you were to host a dinner party, which three influential women in the world would you invite and what would you cook? Dead or alive? I would love to gather around the dinner table with Frida Khalo, Carmen Miranda and Marie Antoinette. Three incredibly different, strong, influential, powerhouse females over the ages that I have drawn countless inspiration from whenever I have needed it the most. They formed part of my first Wander Collection and hang above my desk at my Atelier guarding and inspiring me where I work everyday. I would cook a traditional Afrikaans organic potjiekos celebrating and sharing my heritage with three female heroes. What advice would you give someone wanting to start their own business? Thank you so much Magdalena for working with us on this project.